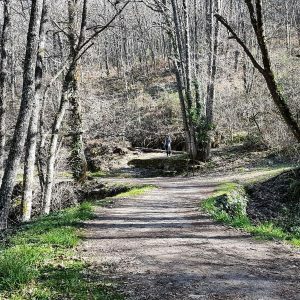 Whilst difficult to get to without your own transport, Sierra de Francia makes a fantastic weekend getaway. Start by driving to La Alberca, about an hour away. La Alberca is a beautiful higgledy piggledy village with lots of charm. Walk around it’s ancient streets before enjoying a coffee or lunch in and around Plaza Mayor. There’s plenty of free parking at the top of La Alberca a short walk down to the town. Come here for hiking trails and to see the portraits of all of the village’s residents.